A prevalent trend at this past Fashion Month is a piece that is able to transform or enhance a look's silhouette: the vest. Let's take a look at some of the ways vests were styled and presented. 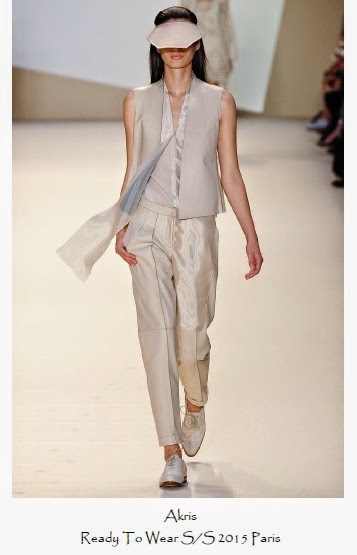 At Akris, a waist-length vest added texture and structure to a monochromatic look with flowing top. 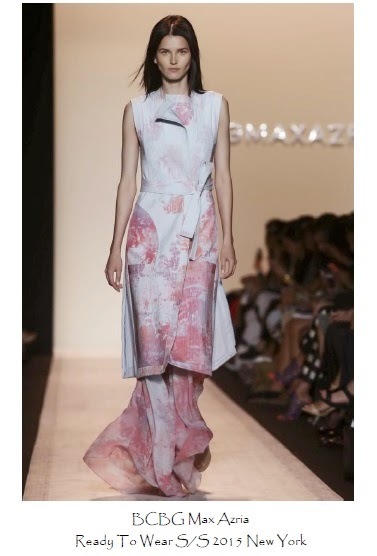 BCBG Max Azria showed how a vest can be used as a long sleeveless coat over a gown suitable for evening wear. Coach's cargo vest is a great counter for Spring's pastels and light separates. 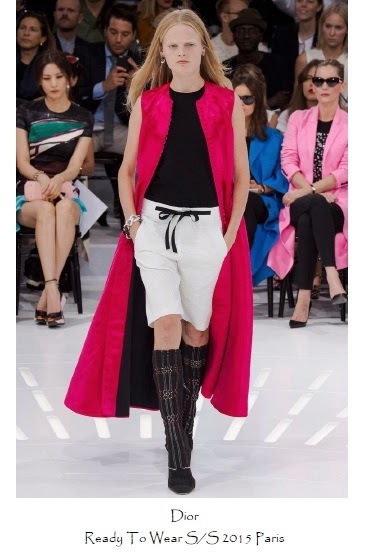 Dior's collection featured several brightly-colored vests over black-and-white outfits. 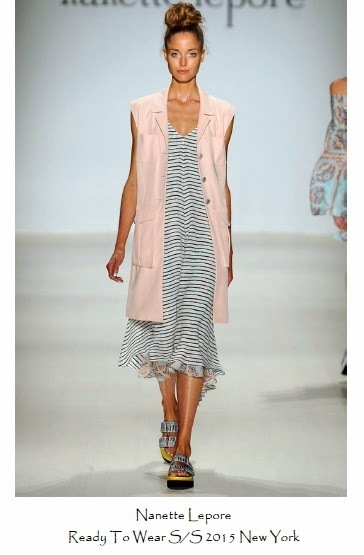 Nanette Lepore showed how a vest can add a colorful, airy layer to your Spring style. 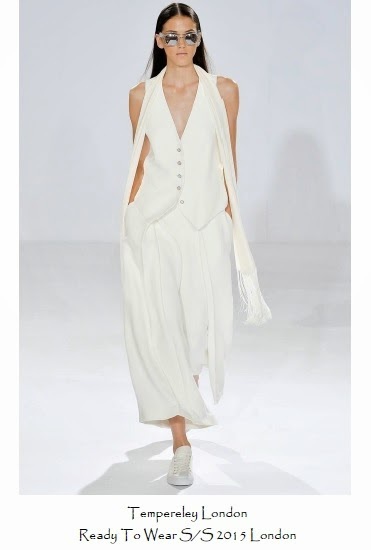 Temperley London included vests as tops, a fresh and lovely twist on the traditional men's three-piece suit. Layers aren't just for Fall and Winter- vests can provide a light and chic addition to your look, worn as anything from a top to a sleeveless overcoat. Pulling double duty for all seasons, a stylish vest is a smart investment piece.